Remember the Two Hot Tamales? 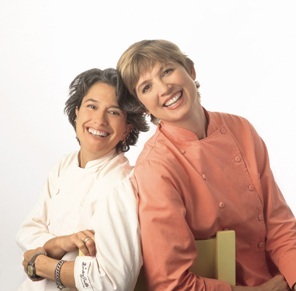 I was a huge fan of Susan Feniger and Mary Sue Milliken‘s show back in the good old days of FoodTV Network. When we lived in Los Angeles, I made a point to go to one of their restaurants in town, the “Border Grill”. We chose a perfect day, Cinco de Mayo! The place was packed, but the service was nonetheless outstanding. We had their spicy margaritas with our dinner: a touch of jalapenos swimming in enough booze to make us happily oblivious to the heat. It took me over a year to finally make those drinks at home, but it won’t be long until we make them again. A fitting drink for a summer evening! 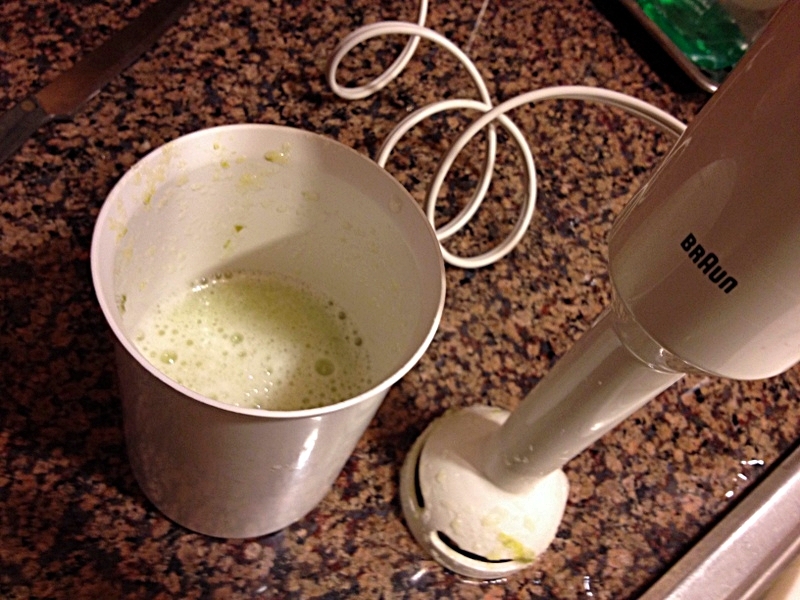 Combine the cucumber, serrano pepper, lime juice, and superfine sugar in a small blender (or a cup suitable to use with an immersion blender). Blend everything together until smooth. Fill a cocktail shaker with ice. 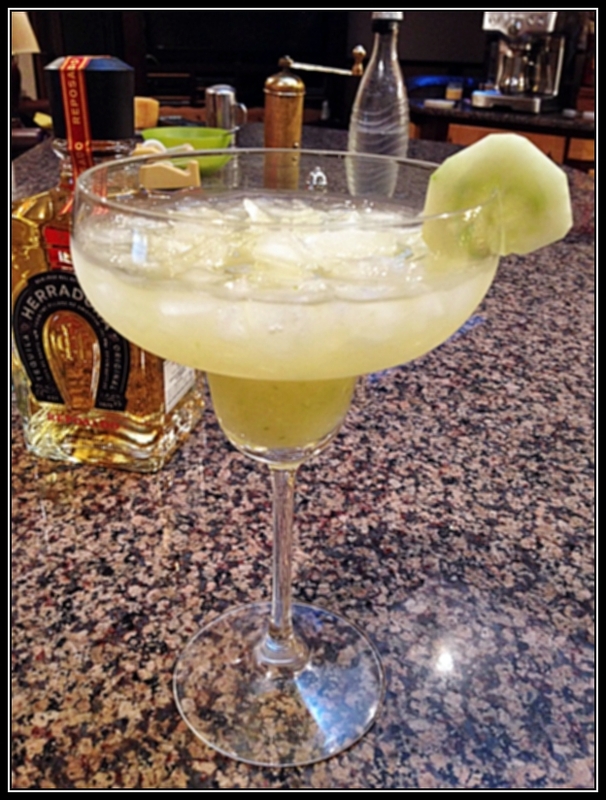 Add tequila and orange liqueur, then add the cucumber mixture. 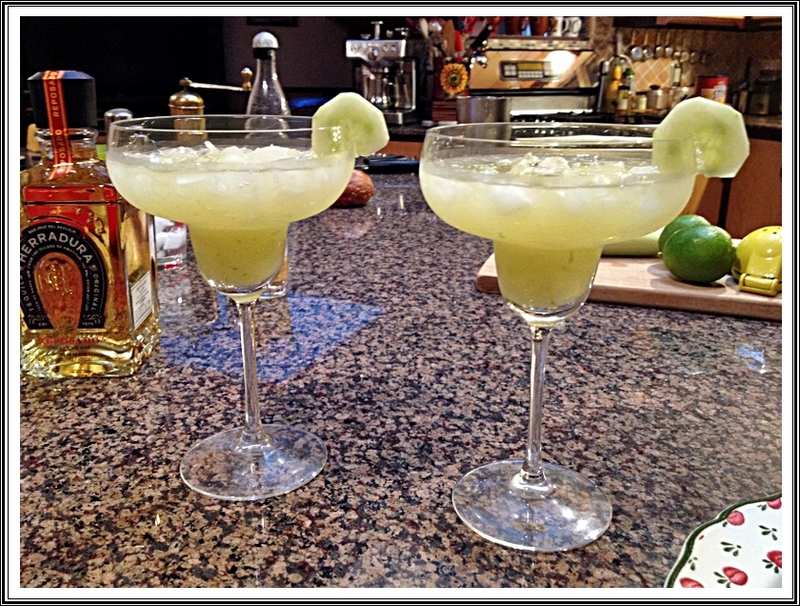 Shake gently to combine, pour into a couple of margarita glasses, and garnish each with a cucumber slice. Serve immediately. ONE YEAR AGO: Goodbye L.A.